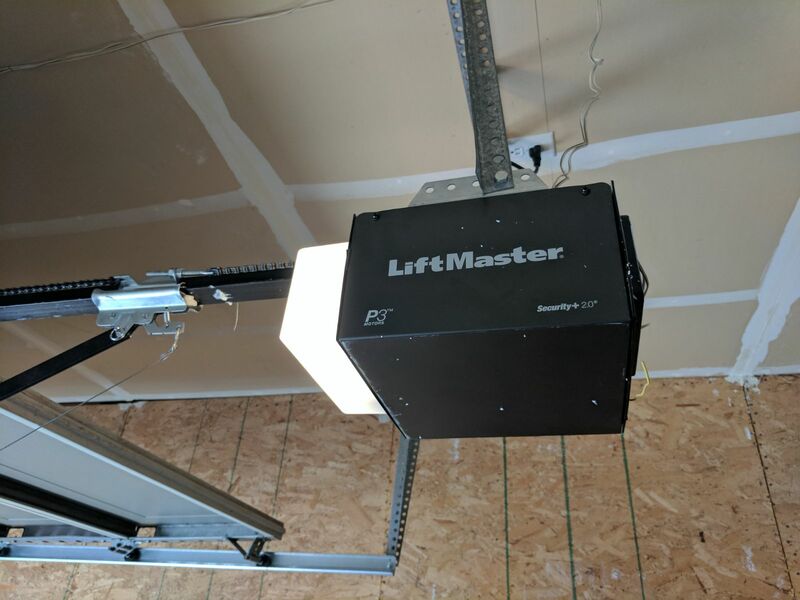 If you want or need a new garage door opener, there are some things that are helpful to understand when deciding on what you want. Garage door openers come in 3 sizes and 3 types. Understanding the difference between all of these things will help you choose the right opener for your garage. Once you have that taken care of, you can then look at the features offered by the openers you want: more features, smartphone abilities, security features or just a basic opener. Let’s start with horsepower. The opener is what powers the garage door to lift and move smoothly, so you need enough horsepower to effectively support and carry the weight and size of your garage door. There are 3 levels of power a garage door opener offers. 1/3, 1/2 and 1 HP. As you might guess, the smallest horsepower is the weakest. The 1/3 HP openers are great for single car garage doors, or 2 car garage doors that are very light. Heavier, bigger doors need a bigger horsepower. When deciding which horsepower you need, the general rule of thumb is to size up. There isn’t a huge price difference, and the higher horsepower will allow your garage door parts to work at their best level. Once you know what horsepower you want, then you cohose the mechanism. There are 3: belt drive, chain drive and screw drive. The mechanism determines the level of noise you will hear when the garage door opens or closes. A chain drive opener is the loudest. It’s also the cheapest. A screw drive is the middle option. Less noisy than a chain, and a little bit more expensive. A belt drive is the quiest opener on the market, and for that reason, also the most expensive. It’s important to note though that the belt drive openers require no maintenance. Chain drive openers, on the other hand, require regular maintenance. If you add up the lifetime cost of maintenance for the chain drive over the higher upfront cost of the belt drive, oftentimes the belt drive is a better deal! From there, you need to decide on features. There are a lot of great security features out on the market today, including motion detector lights, auto reverse features, rolling code tech and fingerprint scanners. Many openers will also sync up to a garage door app on your smartphone or tablet so you can control the garage door from the comfort of your couch or bed, or when you are away from home. Contact a professional garage door company to help you choose the right opener for your garage door!